The Norwalk Republican Town Committee has a spiffy new website. “This new website is part of our new branding and marketing efforts. Last year we also adopted a new logo and established a social media presence on Facebook as well as Twitter,” RTC Corresponding Secretary Isabelle Hargrove wrote Thursday. The RTC hired former Marc D’Amelio campaign staffer Thomas Burns to redesign the website, she said. The new page features multiple fly-over views of SoNo and advertises a March 2 chili cookoff event at Hargrove’s house. 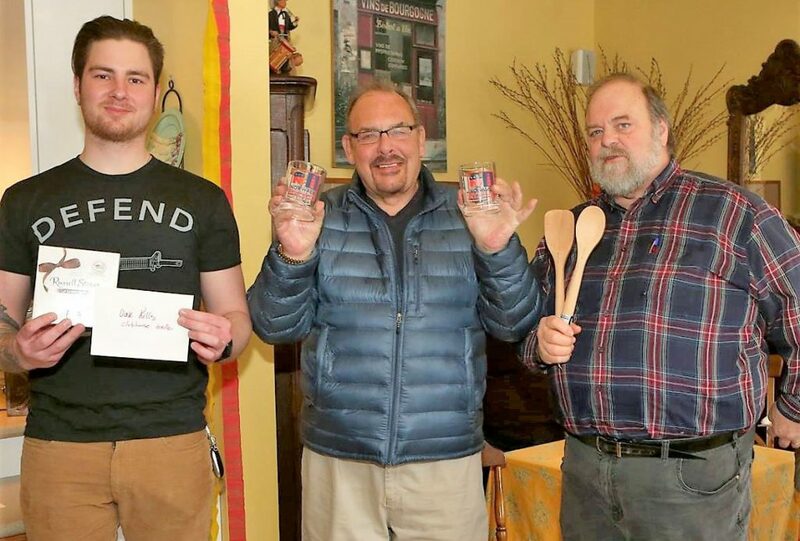 Prizes were “a restaurant gift certificate and chocolates, set of Norwalk Republicans whiskey classes and wooden spoon set,” she said. “Our Mission is to recruit, nominate, support, and elect qualified Republican Party candidates for elective and appointive offices, and to improve the governance of the City of Norwalk and the State of Connecticut. “The last eight years have been some very troubling times for the hard-working Connecticut taxpayer! We have seen the two largest tax increases in State of Connecticut history. The past six years in Norwalk has taken the Town feeling out of Norwalk and turned us into a big city vibe! The next 24 months is a very crucial time for Republicans to gain momentum and get our message out prior to the next state election as well as next November’s municipal election. “The tax abatements that are being proposed around this great City by the current Democrat-driven 14-1 Common Council and the current administration will change Norwalk forever! “The time for change is NOW! We are the party that preaches common sense for the common good. I encourage you to get involved. There are many different ways to volunteer and support to keep Norwalk a great place to live, raise a family and retire! The Council Ordinance Committee on March 19 tabled the proposed Real Estate Tax Agreement for the Wall Street-West Avenue Neighborhood Plan, which would provide tax incentives for certain developments. “It was tabled temporarily because we want to include language for small businesses. We asked Jessica Casey to work on some additional language and to give us her recommendations when she’s done. It will be back on when that happens so unfortunately don’t have an exact date,” Ordinance Committee Chairwoman Eloisa Melendez (D-District A) wrote Wednesday. Minutes for the meeting state that Casey, Norwalk Chief of Economic and Community Development, said that each tool in an economic tool kit has a different function — some address property investment and others address capital investments. There are tools to increase employment and others that address neighborhood elements. If the Council passes a real estate tax agreement it can be tested for a year, she said. The City needs to consider small businesses that don’t own real estate and come up with a tool for them, she is quoted as saying. Mayor Harry Rilling recently responded to criticisms from those who say real estate tax incentives are unnecessary. “Nothing was happening” in terms of development when he took office, in the absence of incentives, he said. Rilling said he got Head of the Harbor South and Wall Street Place going. HOTH, which did not receive tax incentives, is now complete. Wall Street Place stalled when, according to Rilling, developer Ken Olson of POKO Partners “misspent” funds. Norwalk Redevelopment Agency Executive Director Tim Sheehan recently testified in court that “a lot more structural steel” went into Wall Street Place than was originally planned. The project stalled due to a budget gap, identified as $9,853,181 in a bank document. Lender Citibank took control of the project from the original developer, and negotiations to restart construction involving the bank, its preferred developer, and city officials have been ongoing. Citibank is trying to “minimize losses” but is willing to continue investing in Wall Street Place, Rilling said. Council members recently discussed in executive session a proposal to resume construction. The SoNo Collection, a new mall on West Ave, is expected to open in October. The property was made part of the Enterprise Zone before Rilling took office; mall owner Brookfield Properties will pay half the taxes due for the first seven years. The State Bond Commission is expected on Tuesday to approve $204,488 in state funding for body cameras and video storage devices for the Norwalk Police Department, according to a Friday press release sent on behalf of State Senate Majority Leader Bob Duff (D-25). Norwalk is one of seven local police departments that will be receiving a piece of $2.5 million in state bonding to reimburse body cameras and video storage, the release said. “I am appreciative that Mayor Rilling and the Common Council moved this project forward early enough to make us eligible for state reimbursement,” said Norwalk Police Chief Thomas Kulhawik, in the release. State Reps. Lucy Dathan (D-142) and Travis Simms (D-140) are also quoted in the release, expressing gratitude to Gov. Ned Lamont for prioritizing the request. Norwalk’s stagant Grand List for an entire decade and influx of renters, now 40% up from 30%, speaks loudly about City Hall “development abilities”. Norwalk (see Zillow) has 550 homes for sale. Nearby Danbury has just 400. Danbury spends 30% less per capita offering City services. Danbury’s Mayor was a considered a major Gubinatorial candidate. Danbury’s Mayor doesn’t have a “Circle of $150k Chiefs”. Last year an unprecedented 70+ residents of million dollar homes exited Norwalk. So we have some serious concerns about City management and Norwalk’s future. The city will be best served if the current Mayor and entire Common Council except Mr. Hempstead are voted out in November. The members of the high schools’ student councils would probably do a more efficient and honest job than the present city government. However, there is certain irony in that the Enterprise Zone is being used as one of the key reasons it is needed. The Enterprise Zone was created under the Republican Moccia administration. Anyway, it all came at the recommendation of the Redevelopment Agency that has consistently floundered regardless of which party controlled city hall. It doesn’t matter which party is presiding over the damage. It’s necessary to get rid of politicians who act against the public interest. If the new ones do the same thing that the old bunch did, then THEY need to be dumped. Dump all of them in November, because if you ask ANYONE on the street “Would you like to see more apartments go up here?” they’ll tell you hell no. And then if you tell them “The apartments are being built anyway, and we’re going to make you help pay for them, gimme some money” they’ll tell you to buzz off. Does the Mall really look to be on pace to open in 6 months? or Do they mean to say just one or two stores? Otto, the Mayor will cut a ribbon in front of it in 6 months, regardless of the operational status.